Are your young people ready for a challenge? Can you skewer a balloon without popping it? Coat a nail in copper? What happens when you plug a clock into a potato? 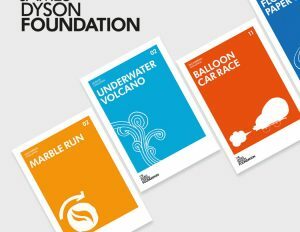 These science, technology, engineering and maths (STEM) challenges have been specifically designed for young people, by Dyson engineers to challenge curious minds and encourage hands-on experimentation.